The Department of Mathematics and Statistics offers a large number of programs in mathematics and in statistics, a joint honours program in mathematics and economics, a joint honours program in mathematics and computer science, and a multidisciplinary program in financial mathematics and economics. The co-operative program is offered to the students in the Honours BSc with specialisation or major in mathematics or statistics, in the Joint Honours BSc in mathematics and economics, in the Joint Honours BSc in mathematics and computer science, and in the Honours BSc in financial mathematics and economics. For more information about the cooperative program, please go to the section about the Co-operative Programs in mathematics or statistics. Please visit the section Careers in Mathematics and in Statistics. In that section, we present some applications of mathematics in our daily life. We also present numerous career choices offer to you after graduating with a degree in Mathematics or statistics. It is also explained why the employers give a lot of importance to a mathematical or statistical education. Our graduate programs are very strong and growing. Currently, there are about 80 students enrolled in our graduates programs with roughly half in the PhD program. 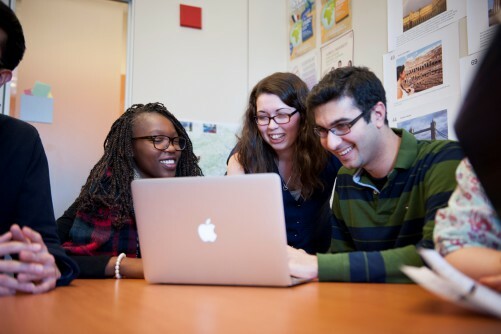 Graduate studies and research in our Department greatly benefit from a close cooperation with The School of Mathematics and Statistics (Carleton University). The University of Ottawa and Carleton University have joined their graduate programs to form The Ottawa-Carleton Institute for Graduate Studies and Research in Mathematics and Statistics. This cooperation has many advantages for the students enrolled at both universities since it increases the number of available courses and seminars, and gives opportunities for social as well as academic interactions between the students of both universities. We also greatly benefit from our department's affiliations with the Fields Institute for Research in Mathematical Sciences in Toronto and the Centre de Recherche Mathématique (CRM) de l'Université de Montréal. 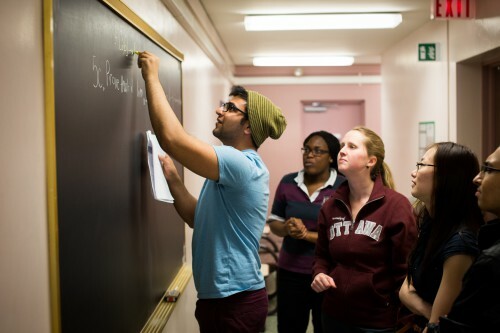 Many workshops, conferences, and summer schools in Mathematics and Statistics take place every year at the University of Ottawa under the umbrella of these two institutions and with their financial assistance. For more information about our graduate programs, the members of the Institute and their research interests, the application procedure or the financial aid for the students, please follow the links on the menus that can be found in the left margin of this page. If you have other questions, please don't hesitate to contact Benoit Dionne (Director of Graduate Studies in Mathematics and Statistics) by e-mail or by telephone at 613-562-5800 ext. 3516.